This topic contains 3 replies, has 3 voices, and was last updated by alvene 1 year, 9 months ago. I have no idea how to mod but this is the class I’d love to create. Maybe one day I’ll decide to learn but till then, here is some eye candy! I really dig the colors you picked! They’re really satisfying and they go really well together. and you emulate the Darkest Dungeon style really well. It sorta reminds me of the fungal scratchers/artillery from the Weald. Overall it looks super slick! It’s awesome! 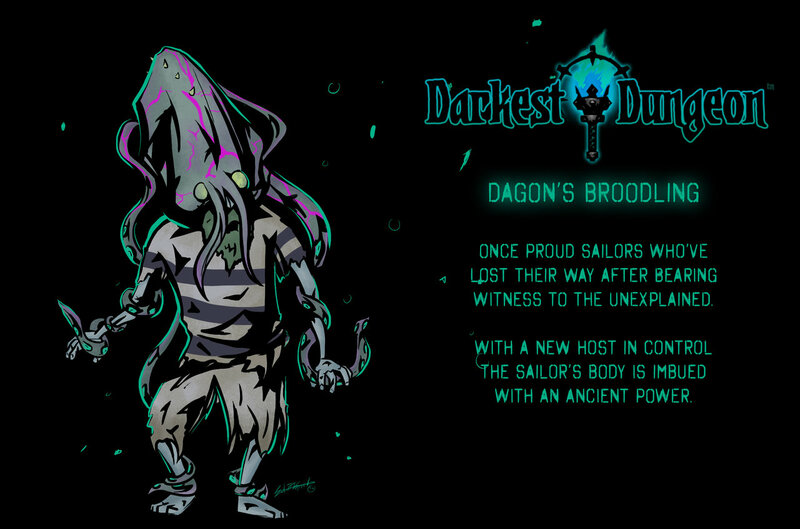 What a cool idea, I imagine that a special quest where you fight these guys and face Dagon at the end would be fantastic! Also, these cold colours look amazing.